Boeing (NYSE: BA) could receive an additional order for two communications satellites from the U.S. Air Force and that purchase would be backed by international partners, Space News reported Thursday. Mike Gruss writes the seventh Wideband Global Satcom satellite is scheduled for launch in 2015 while development of WGS-9 is underway with funding from a consortium between Denmark, Canada, New Zealand, Luxembourg and the Netherlands. 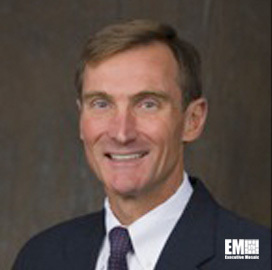 Roger Krone, president of Boeing Network and Space Systems, told reporters the company believes there is demand for more satellites in international markets. “Those may not be bought by the Air Force. Just like WGS-6 was bought by the Australians, ” Krone said. The U.S. Air Force has allocated nearly $4 billion in funds for the X- and Ka-band WGS satellites. Gruss writes Australia has pumped nearly $700 million into the WGS-6 and will have access to the planned 10 satellite-constellation. Six WGS satellites are in orbit, the report said.